There was a time when the lots at 629 and 631 Jefferson were at the edge of the village limits. The property sold by General Mouton’s grandfather, Jean, at the corner of Jefferson and Main Street was rather small for two buildings. 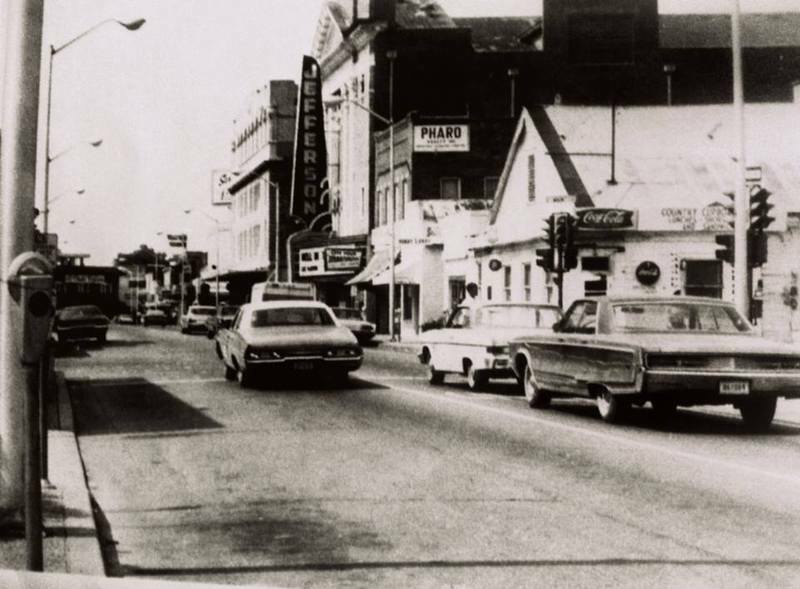 This was a residential area that eventually became part of the business district as Vermilionville grew into Lafayette. The fronts of the buildings were converted into businesses while people lived in the back. The two houses became the property of the Grado family in 1923. 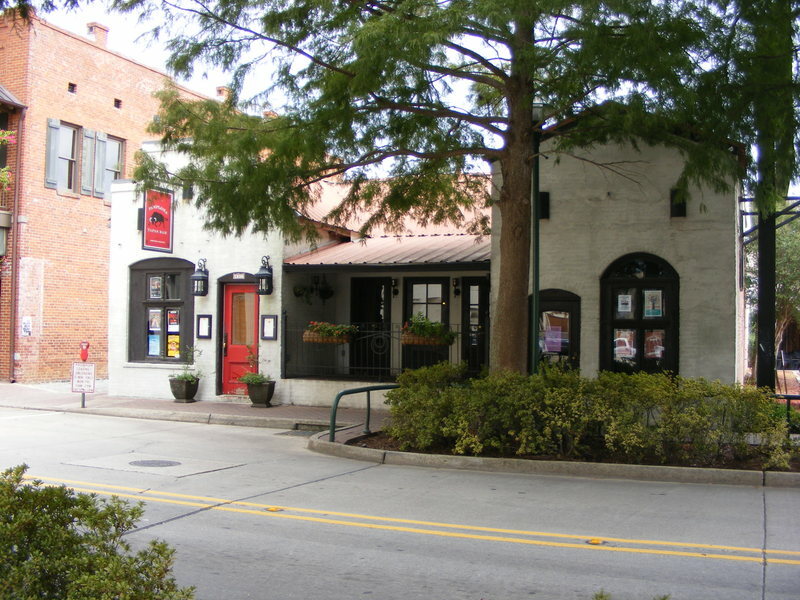 Several businesses were housed there over the years and in 1946 a brick addition on the Jefferson Street side housed Le Café. The brick building facing East Main Street was used as very popular Blair House Restaurant up until the 50s. 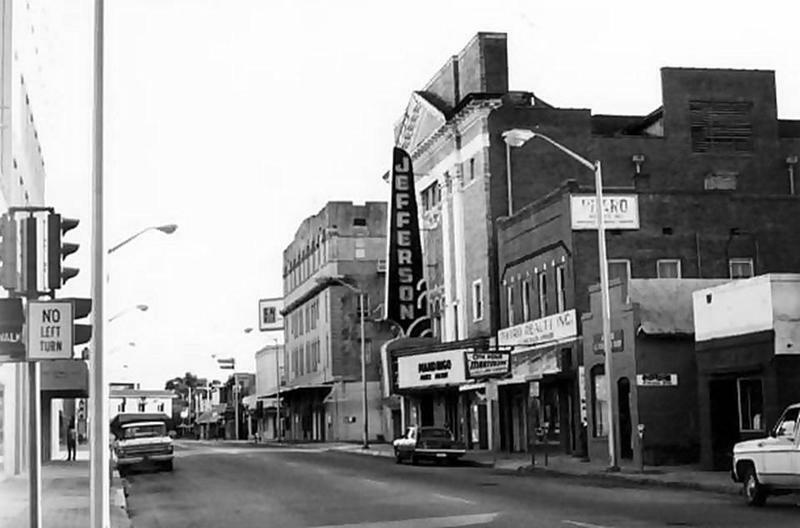 In the back, the Grados shared an alley with the Jefferson Theater next door. Movie stars and actors would use the alley stage door when performing live on tour. The Grados had a great view of many the celebrities of the day, especially those who were part of “Cousin” Dudley LeBlanc’s Hadacol Caravan (19) which included the likes of Bob Hope, Lucille Ball, Mickey Rooney, Roy Rogers, and many more. The theater was demolished in the 70s. Today the Grado building houses a fine restaurant, Pamplonas Tapas.